Puremusic: How are you, buddy? 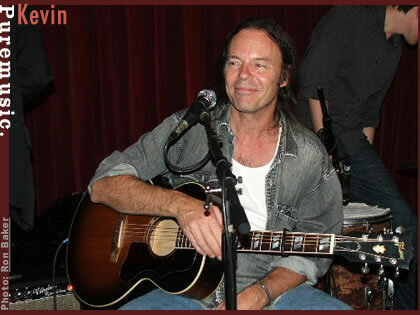 Kevin Welch: Well, I'm okay. I'm up in a small town in B.C. right now with the boys. PM: Man, that's a place I'd like to be. Where are you gigging up there in B.C.? 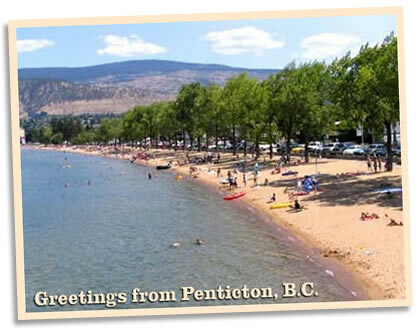 KW: A little town called Penticton, it's a resort area. PM: How many dates are you guys playing up there? KW: Half a dozen or so, I guess. KW: We're headed to Toronto--or, no, I think we go somewhere else and then we're headed to Toronto, and then headed home. PM: Yeah, my other two interviews are in Toronto today, two brothers, Dallas and Travis Good in a band called The Sadies. Ever hear of them? KW: I believe I have, yes. PM: Yeah, that's an awfully good band, there. Boy, I envy you. I'd love to be riding across Canada today. What's the weather like where you are on this nearly autumn day? KW: Well, I'm standing outside in a t-shirt and I'm freezing, so I'm getting ready to go back in. PM: I don't know the details on the origin of the Kane Welch Kaplin outfit; the when, why, and how. How did that particular construct of talented cats come together, and why? KW: We've been playing together off and on for years, since back in the beginning of the Dead Reckoning days and before. After the O'Kanes broke up, I asked Kieran if he would like to come play on my second record from Warner Brothers. And he brought so much in. 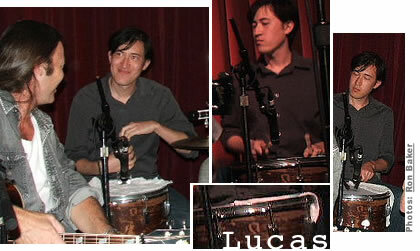 I mean, he just affected the groove in such a good way that it got so I didn't like to play without him. KW: And somewhere along in there I saw Fats Kaplin, me and Mike Henderson standing next to each other, watching the Tom Russell band play on stage in Switzerland up in the Alps. And Henderson goes, "Hey, you know who that is up there playing the pedal steel?" I said, "No." He said, "That's Fats Kaplin." And I said, "Well, that's the guy we need in our band." He's up there playing pedal steel, and accordion, and fiddle. KW: And then Henderson says, "Fats Kaplin would never play with us." KW: Anyway, a year or two later or something, Tom's band broke up and, well, we heard that Fats was possibly available. I invited him to come down to check out Nashville. He was living in Manhattan. PM: Oh, he was still in the City, then. KW: Yeah. So he did, man. He got a toothbrush and a couple instruments, and that was about it, and came on down. And ever since then Fats has been playing with all kinds of people. I mean, you should actually check out his gigography. PM: Oh, yeah. I mean, we reviewed his last solo record, which we thought was spectacular. KW: So Kieran and I, over time, I mean, we were doing the Dead Reckoning Night of Reckoning tours with Henderson and Tammy Rogers, and Harry Stinson, and that whole bunch. And after a while we kind of hung that up. And Kieran and I were invited to go down to Australia. Can you hear me okay, Frank? PM: Yeah, I hear you good. KW: I'm talking to over my computer and I'm getting dressed as we talk. We were invited to go down to Australia just to do basically a little two-man song swap. And it was a really, really casual approach to how to put on a show, if you will. KW: And after about maybe the fourth or fifth show, I believe, there was a radio station that wanted to record us to broadcast it later. And we said, yeah, that they could do that as long as we owned the master. And later on we decided to put that out as a live record. And it turned out that that gig was voted Gig of the Year by--there was a roots magazine down there, I can't recall right now what it was called. PM: And what's that record called? KW: It's called 11/12/13. It was recorded on November 12th and 13, so the name of the record is 11/12/13. We got to where we would go down to Australia every year. We did that for a number of years. And finally we got our numbers up to the point where we could afford to invite Fats to go with us. And as we like to say, me and Kieran had been denying for many, many years that we were a duo. And then we began denying that we were a trio. We went in and made the record You Can't Save Everybody, and really dug that whole recording process. It was very effortless. Then we went in and made another record a couple years later called Lost John Dean. We were knocking these records out in two days and then mixing it on the third day.